Our School Scheme is a great way to raise money for the school and encourage healthy eating as well as an awareness of where our food has come from and the ethics involved in rearing animals for meat. Your school will appoint a liaison (often a member of the PTFA) who will confer with either James or Amy and the parents. There will be two box sizes for the parents to choose from, small and large, and the contents of these boxes will change with each order for variety. Once we have determined how often you would like to receive the boxes (usually once every two weeks) we send an email detailing what will be in each of the boxes for the following week. This will then be emailed on by your parent liaison and any parents wanting to purchase a box will let them know. When you know the final numbers all you have to do is let us know how many of each box to provide and we will deliver them to the school on an allocated day to be picked up by the parents. The parents will get a discount from the usual value of the box and a percentage of the takings will be contributed to the school. The commission % is dependent on the number of boxes ordered each month. On school collection day cool bags are provided for parents to take the meat home in if they do not want to carry the box home. Parents also give us feedback whenever they want about what cuts they would like in the next box – making it a very personal service. We recently sponsored the Honeywell School fete in Battersea, London. We provided free gourmet burgers and sausages for the parents to cook up a storm with. We like to help out our schools as much as possible, we also attend the school Christmas fair with offers for turkeys, gammons and beef ribs. This entry was posted in Field and Flower and tagged field&flower, Grass-fed meat, healthy, honeywell, meat, Meat box, meat boxes, Parent, primary school, Scheme. Bookmark the permalink. 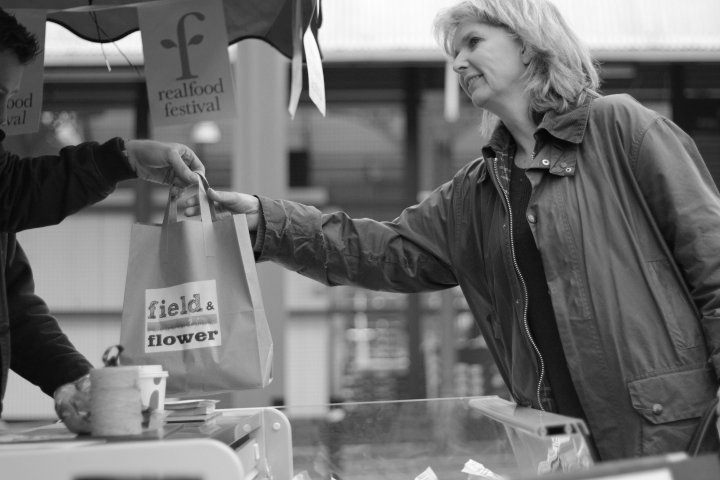 ← Field and Flower named in the top 50 food websites!